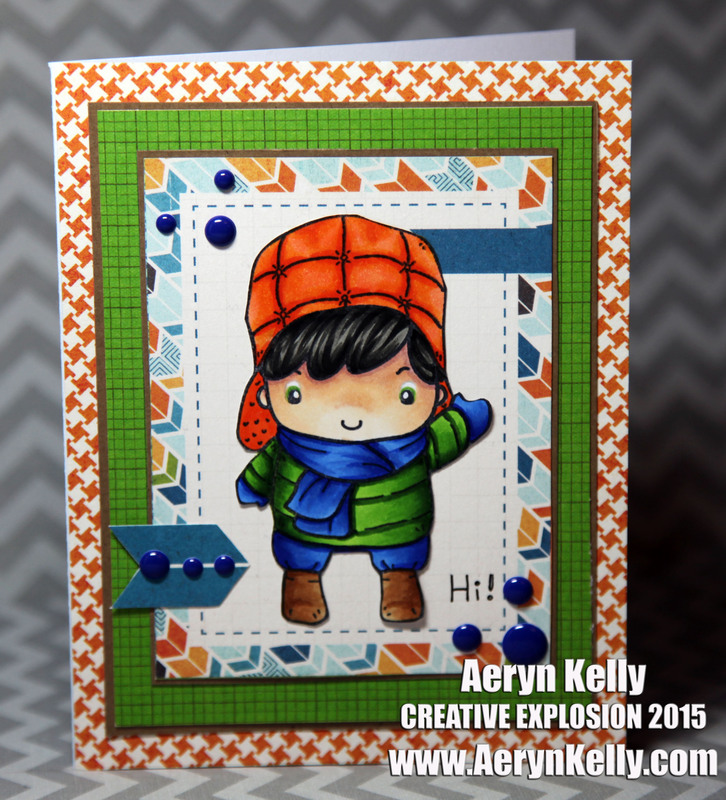 Aeryn's Creative Explosion: Card: A Winter Hello! Hi, all. I'm sorry I've been so terrible with blogging. My moods have been completely destroyed by the medication I'm on for my CF and it has made me a bit all over the place emotionally as well as crafting-wise. You can keep up with me on Instagram or FB, just in case I don't post properly here. Right now, though, I'm posting properly, with a card I made using my Copics and a Greeting Farm stamp. I got a face mask for wearing when I go out in public, and for clinic visits especially, and I wanted to test how well it'd protect me from the smell of the Copics. I'm happy to say it did pretty well. I had to do the image in stages a bit, but it worked out. I had fun with this card and I used some uncommon "winter" colours and the paper collection isn't winter at all. That was definitely fun to do. Now, a new thing! This card needs a new home! In the interest of me not having piles and piles of cards here in my home, I'd like to start sending cards of to YOU, the reader. So, first to comment that you want it will get this card. Exciting? I hope so! This is an adorable card, Aeryn! I really like the non-traditional colors and the boy is so cute. What is super exciting is that you were able to use your Copics! That is wonderful for you. I would love to be the recipient of this card! I think you have my address on the peep list...Frammamartha. He's all yours, Martha! I'm glad you like him and than you so much for commenting!